Perched back on 2.23 acres, double wide w/back 'porch', 2 car garage w/storage above and two exterior sheds offers plenty of space and one level living facing pretty south west views. 1456 sq. ft. of living space holds 3 BR, 2B, LR. Kit/Dining within. 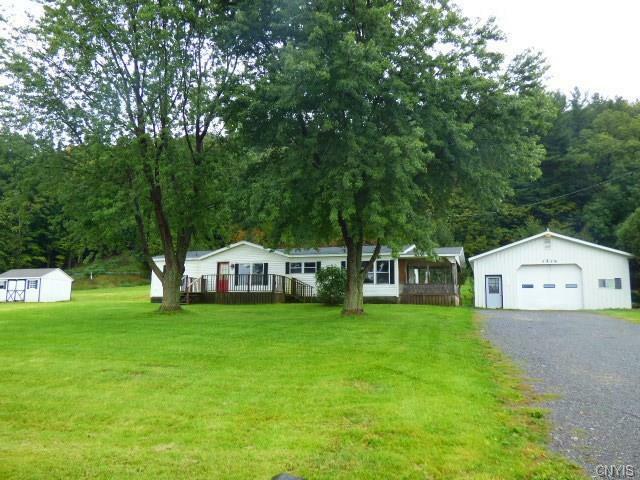 A sweet piece of land with lots of elbow room to enjoy!